MYS has a successful history of partnering with organizations of all sizes and across industries to effectively provide virtual project management solutions. Our skilled professionals are trained to oversee and track project schedules, milestones, deliverables, and budgets - ensuring all expectations are met. 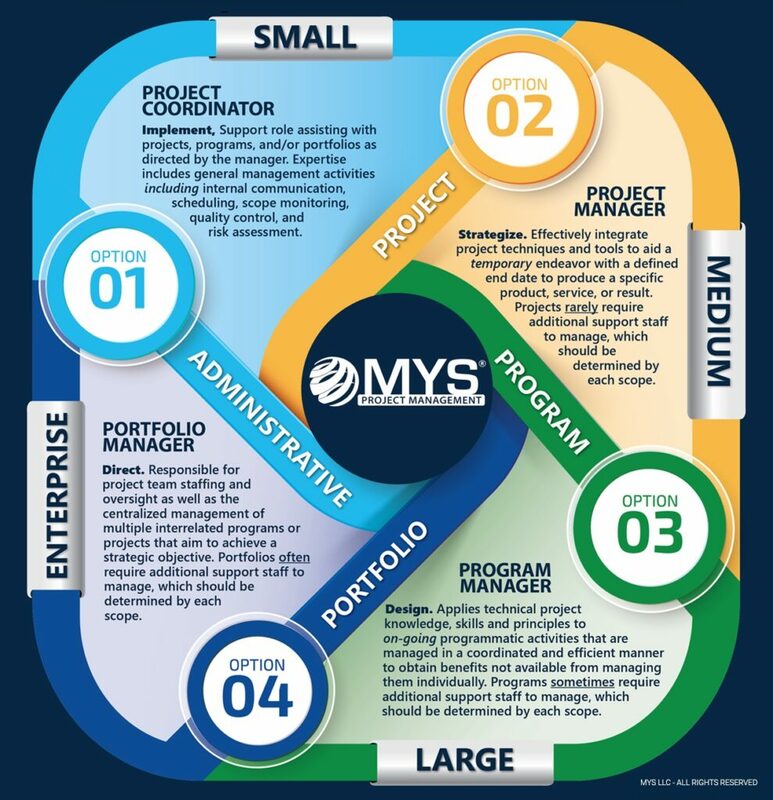 MYS project managers are expert communicators that have been thoroughly vetted and screened to meet or exceed minimum professional standards including a 4-year college degree, PMP certification, and 5-years of experience managing high-stakes programs. In short, we provide support that drives success. A practical solution for unexpected and short-term leaves of absence. Lean on our experienced project managers who specialize in quickly adapting to existing processes, methodologies, and styles at any stage within the project lifecycle, to limit disruption, and facilitate seamless production. Grow staff and technical capacity through a private partnership. We adapt to existing standards, tools, and styles to provide high-quality project management support while externally appearing as part of your team. Count on us to interface with your clients and deliver at the standards you expect. From scoping through completion, let's partner on a project together.